The future of the children from a Limpopo village is shining brighter thanks to a better school. Pupils of the Divhani Crèche and School of Excellence in Makhado’s Divhani village have received a newly renovated early childhood development (ECD) centre. 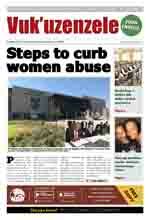 The school was renovated by cellphone network provider Vodacom. Principal of the school Mafindi Hulisani said they were ecstatic with the newly renovated classes. Hulisani said the renovations to the three-classroom school were supplemented with new learning material for the pupils. The new renovations included the repairing of a ceiling, painting, air conditioners, toilets, proper fencing and a borehole. The ‘new’ school, which was handed over by the Deputy Minister of Basic Education Enver Surty and Vodacom, caters for 42 pupils. 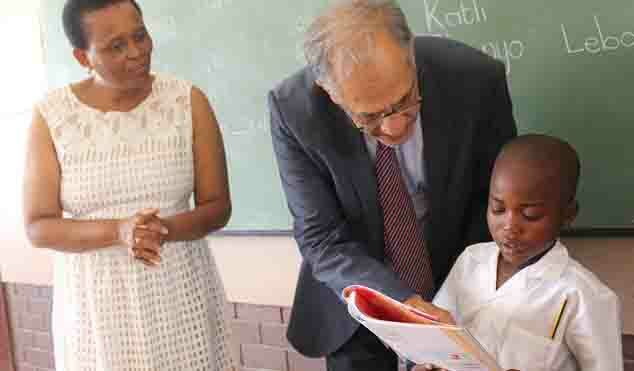 “The handover is thanks to a partnership with the Vodacom Foundation which is currently supporting 3 000 schools and 92 teacher centres across the country with technology and infrastructure to enhance the education system,” the Department of Basic Education said. Speaking at the launch, the chief officer: corporate affairs for the Vodacom Group, Takalani Netshitenzhe, said the best way to deal with the challenges faced by society is through education. “Through our education ecosystem, we will be addressing many of the socio-economic challenges faced by communities. In the Vodacom-supported communities, we will be working in partnership with government, civil society and the communities to ensure that we address challenges in communities,” said Netshitenzhe. The Divhani community crèche is one of 15 ECD centres chosen for upgrading and renovation, and Vodacom has extended assistance to its sister primary school. The school’s new infrastructure was also welcomed by parents. Gladys Mafuku, whose three-year-old daughter attends the school, said the improvements will be good for the community’s morale and the children’s education.